Plain fuchsia trousers with contrast trim pockets and without back pockets. Double-breasted in wool blend with shawl lapel waistcoat, patch pockets and 6 buttons lined with contrasting fabric. 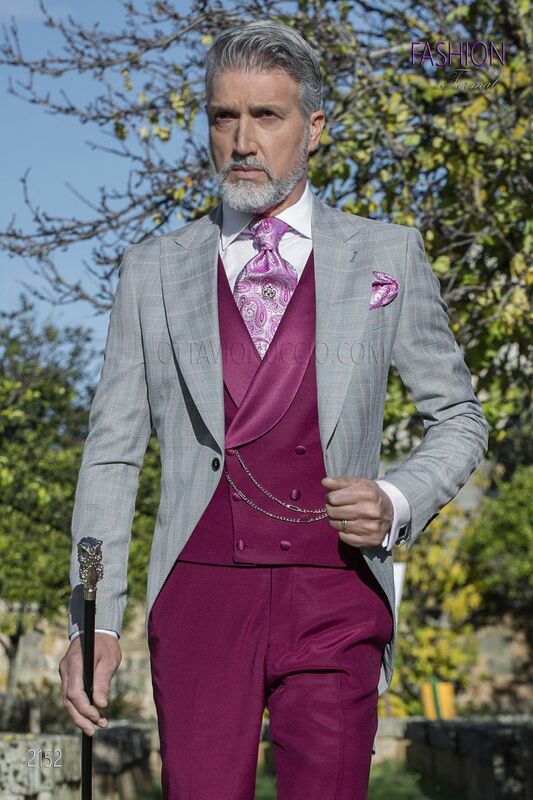 Cravat and handkerchief set made from silver and fuchsia jacquard silk paisley pattern. Handmade.